Tank just graduated from Basic Obedience class at our Training and Behavior Center and his family even bought the graduation hat to prove it! Tank's family was able to bring him to class thanks to St. Hubert's scholarship fund! Tank earned a scholarship due to his high energy level and some bad (but silly) manners. Everyone Tank meets is his new best friend and he lets you know by jumping up and giving hugs (which isn't so sweet when he's larger than you!). Not only did Tank pass Basic Obedience with flying colors, but he also had perfect attendance and was definitely the "teacher's pet." Tank is a proud member of the Freehauf family since 11/11/17! His favorite activities include playing with multiple toys at the same time and doing the zoomies!! In September, St. Hubert's Community Care Manager received a call from Susan, who was distraught. Her father, with whom she lived, had passed away and she had to find a new home for her, her son and her adopted dog, Shasta. Unfortunately, because of limited funds, her only option was to temporarily stay in a hotel that did not allow pets. St. Hubert's found a foster home for Shasta, and within two months Susan found a dog-friendly home to move into. Now Shasta is sleeping warmly in her own bed with her loving family and just in time for the holidays! I took Riley for a walk on Tuesday night and his leash got stuck in my glove. It was dark out and a family was walking to their car. Riley heard them, took off and started chasing a little girl. I quickly used the recall that Riley and I have been practicing and he came right to me. I was so relieved that after just 5 weeks of training class he was so responsive and what we’ve been practicing worked. The little girl was fine and Riley and I were able to go home for a major treat party. Thank you for everything! We have both learned so much from you. Arturo met St. Hubert's staff at our free vaccine clinic in Dover in October. He told us a sad story: for two years he had been living in his pick up truck with his 9 year old lab mix, Trumpo. Although Arturo lived in subsidized housing, he was not allowed to bring Trumpo into his apartment and so he spent all his time, including every night, in the truck with his dog. Arturo has a sister in Honduras who lives in a home with a lot of land and she was happy to take Trumpo. When Arturo met us at the Dover vaccine clinic, he had already saved up money for flying Trumpo to Honduras, but he was in need of a large airline approved dog crate and an international health certificate. St. Hubert's provided him with both and now Trumpo is happy in his new home and Arturo can sleep soundly in his own bed knowing his beloved dog is safe. St. Hubert’s Community Outreach team of Nora Parker, Matt Wildman and Jenn Gregory attended Thanksgiving Day at Samaritan Homeless Interim Program’s (S.H.I.P) Holiday Meals Program at the United Reformed Church in Somerville. While there, they provided tote bags with pet food, toys and treats to pet owners to bring home to their babies for the holidays. Among the dozens of pet owners who received a gift bag was Susan who told Jenn about her three beautiful cats and how much they were going to appreciate the food and toys. She continued to tell Jenn that because of transportation and financial issues she hadn’t been able to get them to the vet in a very long time and she was worried about them. They were all older cats and she wanted to make sure they were all okay. 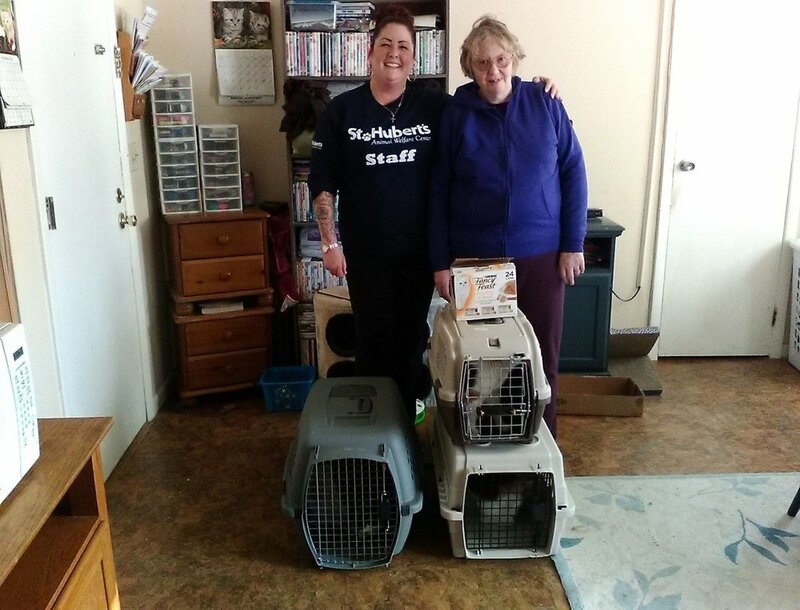 The following week, Jenn transported all of Susan's cats to St. Hubert's where they received updated vaccines. Susan was beside herself that St. Hubert’s would go out of their way to help her and was so thankful for the whole experience. Jenn was grateful for the opportunity to help bring such joy this holiday season to clients like Susan. Janet Wald, Director of Roxbury Social Services, assists Jennifer Gregory, St. Hubert's Community Care Manager, who arrived with a fully loaded van full of pet food, treats, toys, Christmas sweaters and some nice warm comfy beds for the holidays. 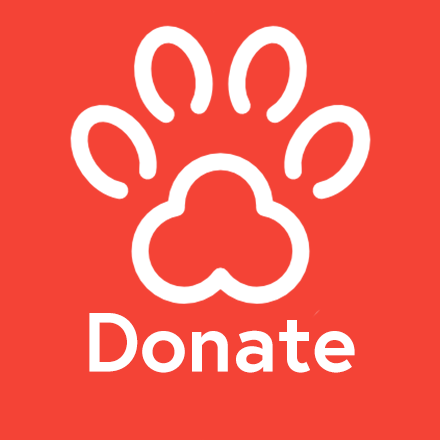 Roxbury Social Services is a St. Hubert's partner that distributes pet food and other pet-related items to their clients in need. The 1st grade Hartshorn Elementary Daisy Troop received an educational tour of our Madison facility, which helped them earn their 'caring' petal. Their troop leader wrote, "Dear Karen, on behalf of the 1st grade Hartshorn Elementary Daisy Troop, thank you so much for leading the tour through St. Hubert’s. It was so informative and interesting and you provided a great way for the girls to earn their caring petal. The work you do is extraordinary. Thank you for your kindness and generosity and for being such a wonderful role model." October 18, 2017 - Wiley Venezia (formerly Romeo) showing off his fancy new St. Hubert’s Training School diploma and his amazing “Sit & Stay” skills! 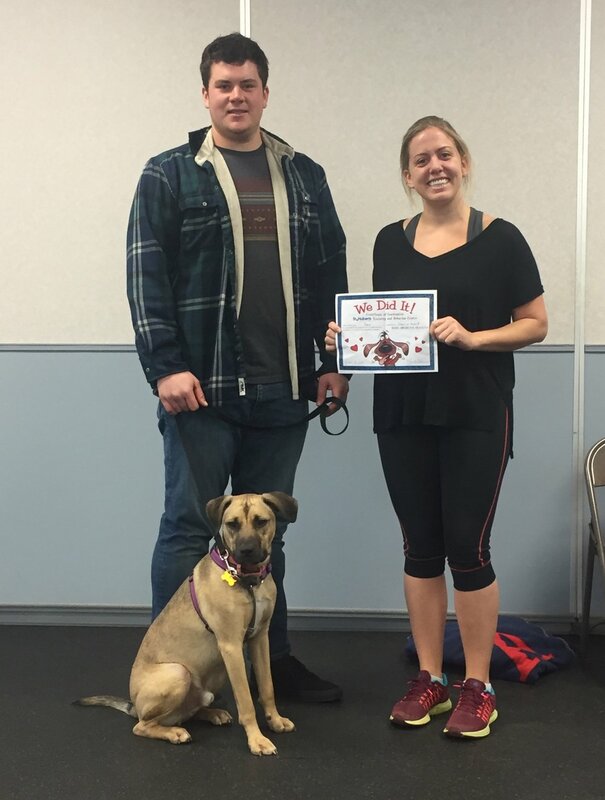 Cheryl, his very proud dog-mom, accompanied Wiley through our Basic Obedience class and made sure that he did all of his homework! Wiley was adopted from St. Hubert’s back in August and his favorite hobbies include snuggling, giving doggy kisses, and going for boat rides (but he hates the water)! October 18, 2017 - A total of 138 3rd, 4th, and 5th grade students from the Robert Morris Elementary School in South Bound Brook received a variety of St. Hubert’s Humane Education lesson on October 16th and 17th. Topics including Safety & Respect and Empathy & Compassion were discussed in small groups. In addition, the students had the opportunity to meet some very sweet domestic mice. Needless to say, these little critters were a big hit with the students! Congratulations Jax & the Ward Family! October 18, 2017 - The Ward Family adopted Jax (formally Gio) in August. Jax and his new adoptive family were issued a scholarship upon adoption and just graduated Basic Obedience class. Sept. 29, 2017 - Girl Scouts from the troop of Oak Knoll delivered several dozen handmade cat and dog beds to St. Hubert’s. The girls received their Bronze Awards for this project, and St. Hubert’s is grateful for their efforts! August 2017 - Casey was transferred to St. Hubert’s from a shelter in Georgia, and in June he was adopted by the Perez family. Casey needed some work on his manners and received a scholarship to attend a Basic Obedience class at St. Hubert’s Training and Behavior Center. The family took advantage of their scholarship shortly after adoption and in August Casey graduated with flying colors!